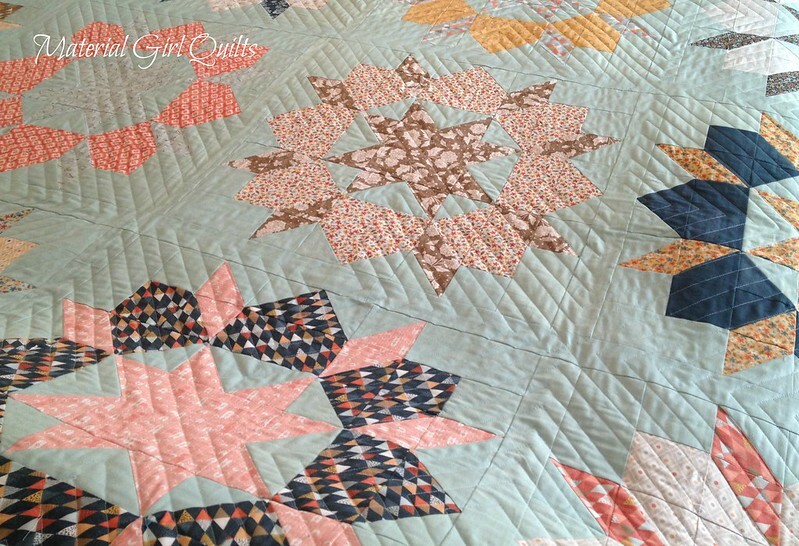 I'm so happy to FINALLY share my finished Persimmon Swoon with you all!! It has been done for a couple of weeks, but with snow, frigid temps and no sun, I haven't been able to get any decent photos until today. I still can't take a photo outside because if it isn't snow covered, it's muddy. So these indoor photos will just have to do. 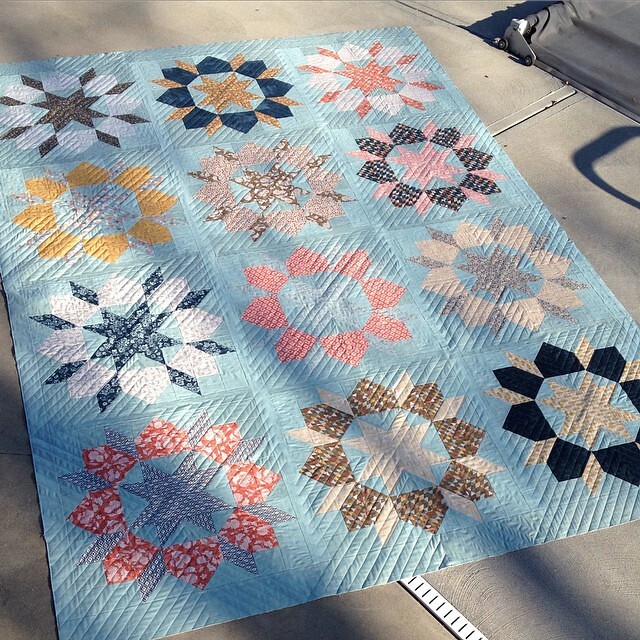 The fabric I used for the blocks were from a Persimmon fat quarter bundle by Basic Grey for Moda and the background fabric is a Moda Cross Weave in Aqua. If you look closely you in some of the photos, you can tell that I obviously didn't pay attention while piecing to which side of the cross weave was front and back. 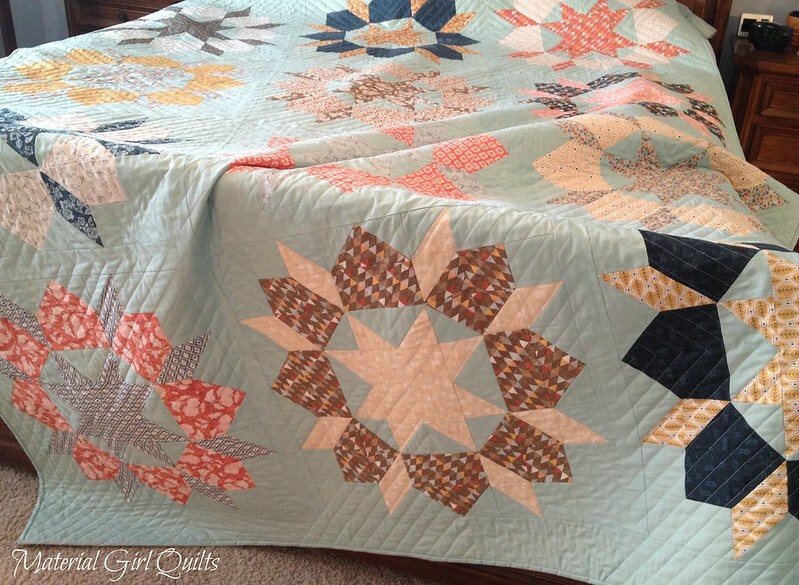 And I actually love the result because it gives the background a bit of movement with the different sheen/texture across the entire quilt. 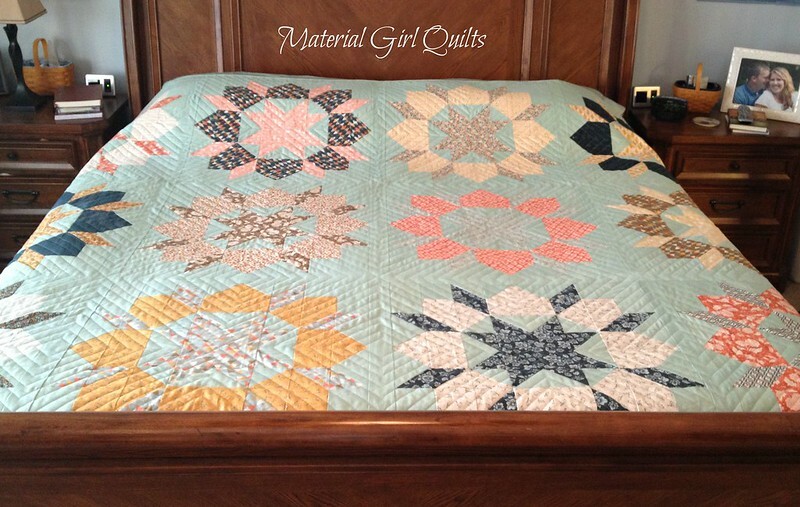 Although the quilting took me A LOT of time with all of the stops and starts, it was so worth it in the end. 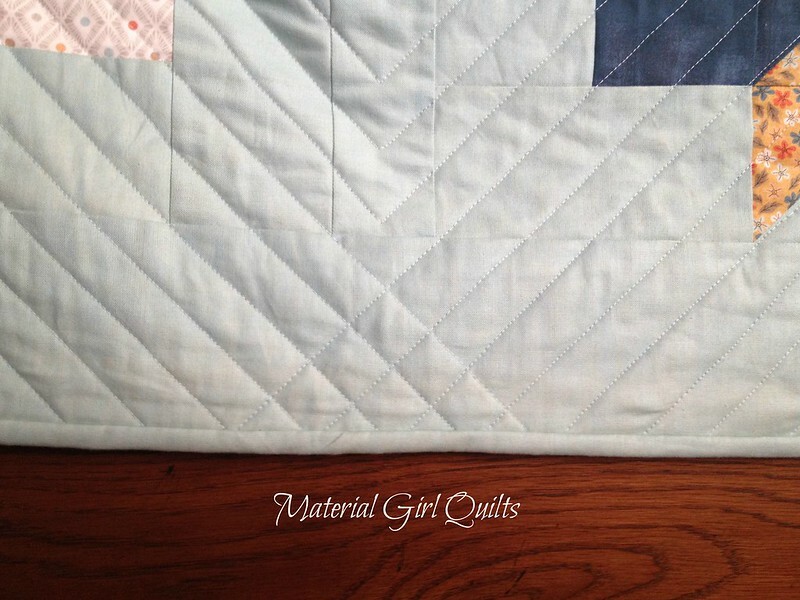 One of my favorite little details is on the side borders where my quilting lines cross over to create a fun little cross-hatch triangle. 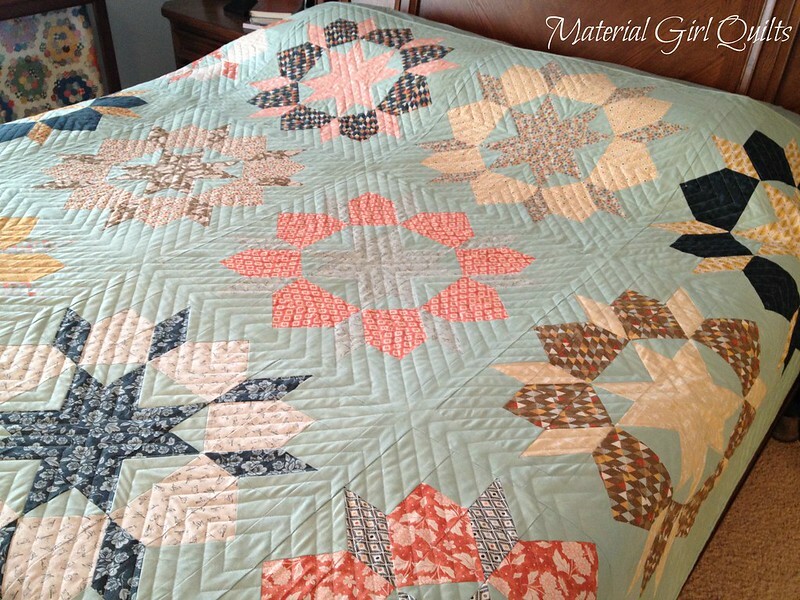 I used Aurifil 50 wt. 5007 (grey blue) and think it looks perfect with the background fabric. 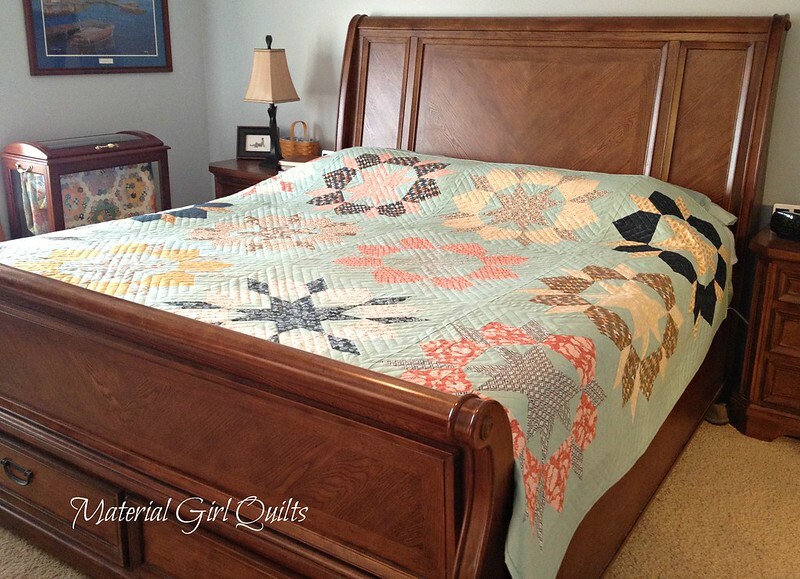 Here is a better shot of the entire quilt before I had the binding on (and before winter struck my neck of the woods!) This one really shows the movement in the background due to changing fabric direction.